Students pursuing a bachelor’s degree can save drastically on tuition costs and student loans by taking the first two years at FTCC. Our transfer counselors can assist in planning the best transfer pathway to achieve your goals. The degrees offered through the Arts & Humanities and Math & Sciences divisions are designed for students who intend to continue their education at a four-year college or university. Students who graduate from FTCC with an Associate in Arts or Associate in Science degree and have met all requirements are able to transfer to any North Carolina public university with junior status. Articulation agreements are formal partnerships between two or more colleges and universities outlining the transfer policies for a specific academic program or degree. FTCC has a wide variety of articulation agreements in place with four-year institutions, in addition to instructional agreements and memoranda of understanding, which also provide increased learning opportunities for our students. Many Health programs of study require clinicals or Work-Based Learning opportunities as part of the curriculum. FTCC has Affiliation Agreements with various health facilities to provide hands-on learning experiences for our students. FTCC has partnered with numerous universities to provide seamless pathways for military members and veterans to earning a bachelor’s degree. The articulation agreement between Chancellor University and Fayetteville Technical Community College offers FTCC students a 2 + 2 agreement. This agreement permits a student who has earned an associate degree in a specific program to qualify for and articulate into a bachelor degree program with Chancellor University. 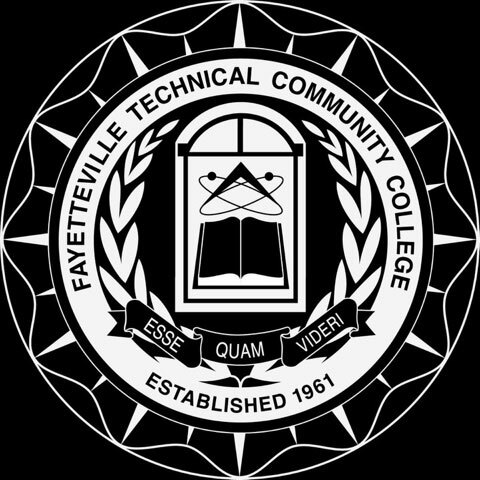 Chancellor University shall award two (2) full ride scholarships to associate degree recipients of Fayetteville Technical Community College who have graduated with a minimum 3.5 GPA. Have questions: Contact Dr. Darnette Hall. Students who earn an Associate’s Degree with honors from Fayetteville Technical Community college will be guaranteed admission to Fayetteville State University. This articulation agreement provides a seamless pathway to baccalaureate completion at FSU for FTCC Honors Students. Honors Students will also have scholarship opportunities. FTCC Honors Students must enroll at FSU no later than one semester after the completion of their Associate’s Degree. Would you like more information about the FSU Honors Program? Fayetteville State University offers competitive financial aid packages. About 95% of FSU students receive financial aid or scholarships. These students will be designated McLean Honors Students. Note: Pre-McLean Scholars from FTCC will receive priority consideration for the Scholarship. Also, although the scholarship is non-renewable, students are eligible to re-apply. Select transfer students admitted to the Honors Program at Fayetteville State University will receive a scholarship. Scholarship recipients must continuously enroll full-time and maintain a 3.2 GPA. The scholarship may be awarded for a period of up to two years. Your transfer credits are evaluated by the Registrar’s Office after you are admitted to Fayetteville State University. You will then meet with your advisor to discuss your degree plan and register for classes. FSU offers ten online degree completion programs which allow you to complete your degree entirely online. Fayetteville State University is proud that 25% of our student body is affiliated with the military, whether as active duty, National Guard or Reserves, a veteran, retired, or a family member. Our Fort Bragg Center and Student Veteran’s Center are here to help you get the most out of your benefits and resources at FSU. The articulation agreement between Franklin University and Fayetteville Technical Community College offers students who successfully complete an associate’s degree admission into Franklin University’s degree-completion program. The student who has not completed an associate’s degree, but has 60 or more semester hours of college coursework and a cumulative GPA of 2.5 or better will be accepted into the Franklin University degree-completion program. Franklin University encourages students to complete their associate’s degree at the community college before transfer. Students may concurrently take courses at both institutions. The articulation agreement between Fayetteville Technical Community College and Lee’s McRae College pertains to students who earn an Associate in Applied Science (AAS) Degree in Criminal Justice Technology through Fayetteville Technical Community College and who seek to complete their Bachelor of Arts and Applied Science (BAAS) Degree through LMC Criminal Justice Program. Students who also earn the Associate in Applied Science for Business Administration also have an option to seek and complete an online Bachelor of Arts and Applied Science (BAAS) Degree through LMC Business Administration Program. The articulation agreement between Fayetteville Technical Community College and Methodist University pertains to students who complete an Associate in Applied Science in Information Systems Security and the attainment of the Bachelor of Science in Digital Forensics and Cyber Security. Methodist University agrees to accept a maximum of 18 semester hours of core credit into the DFCS program of study. The articulation agreement between National American University and Fayetteville Technical Community College allows students to transfer credits earned to National American University with a minimum delay and disruption in their educational process. National American University will admit graduates of Fayetteville Technical Community College’s Associate degree programs into the Bachelor of Science degree programs listed in its undergraduate catalog, subject to university policies and procedures. The articulation agreement between Fayetteville Technical Community College and the Northwest Missouri State University pertains to the AAS of Business Administration degree and the opportunity for students to complete the Bachelor of Science in Business Administration at Northwest. A maximum of 84 credit hours will be used to determine transferability. Specific pre-requisite courses are required for the program. The articulation agreement between Fayetteville Technical Community College and Shaw University pertains to students who have completed an Associate in Applied Science degree in the Speech-Language Pathology Assistant program who wishes to transfer and pursue the Bachelor of Science Degree in Communication Sciences and Disorders. The articulation agreement between Southern New Hampshire University and Fayetteville Technical Community College offers students an opportunity to transfer to a Southern New Hampshire University degree program following completion of a certificate, diploma, or associate’s degree program at Fayetteville Technical Community College. Alumni and employees will receive a ten percent (10%) discount on their undergraduate or graduate tuition and the application fee will be waived. The articulation agreement between Fayetteville Technical Community College and Strayer University allows students who have completed the AA/AS or AAS degree to directly apply to Strayer University. Upon completion of the aforementioned programs, the Strayer University application will be waived for these students. The articulation agreement between Fayetteville Technical Community College and the University of North Carolina at Greensboro pertains to students who have completed specific Associate in Applied Science degrees at Fayetteville Technical Community College and their desire to seek and complete specific Bachelor of Science degree programs through the University of North Carolina at Greensboro. The articulation agreement between Fayetteville Technical Community College and the University of North Carolina at Pembroke relates to students who have completed associate degrees and who desire to enter specific programs toward the Bachelor of Arts in Criminal Justice, Exercise and Sports Science and a Bachelor of Interdisciplinary Studies (BIS for ARSOF Soldiers) at FTCC. Students will receive a 60 credit hour block of transfer credits. 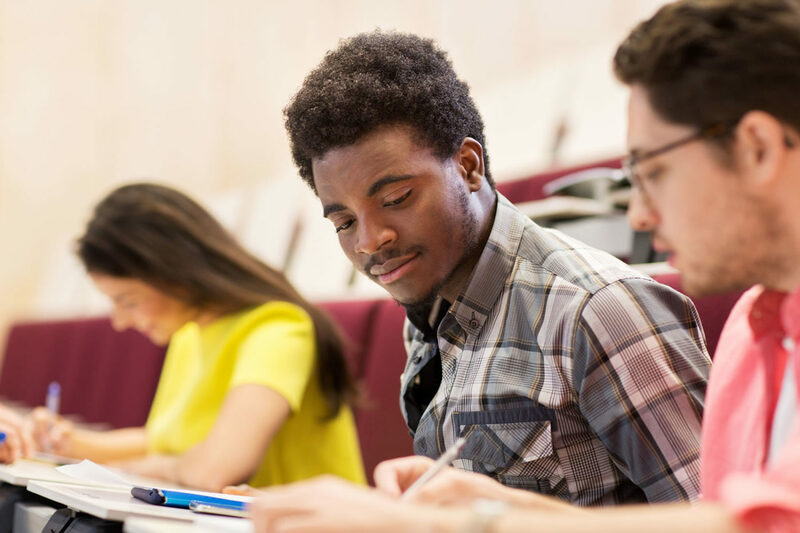 The Carolina Student Transfer Excellence Program (C-STEP) is a partnership between the University of North Carolina at Chapel Hill and community colleges in North Carolina that provides transfer opportunities for talented low and moderate income students. FTCC students accepted into C-STEP who have completed all requirements will be guaranteed admission to UNC Chapel Hill. For information about how to apply and important deadlines, visit UNC’s website. A partnership with Fayetteville State University (FSU), the FTCC to FSU Links Initiative facilitates the transfer process from FTCC to FSU. The program includes one-on-one mentoring and advising, assistance with the transfer process and identifying funds for tuition and fees, and a stipend awarded on behalf of Fayetteville State University. The Links, Incorporated is pleased to announce a partnership with Fayetteville Technical Community College (FTCC) and Fayetteville State University (FSU) to support the transfer of students to selected historically black colleges and universities through a five-year program, which is designed to facilitate the process for FTCC students to transfer to FSU.